Seeing that the Academy Awards are just around the corner, I would like to cave to the award craze and present a list that is representative of my take on the last year in film, which is intended to be a substitute of the top 10 of 2011, which I still can’t publish because I’m missing some promising films. I hope you all enjoy it. 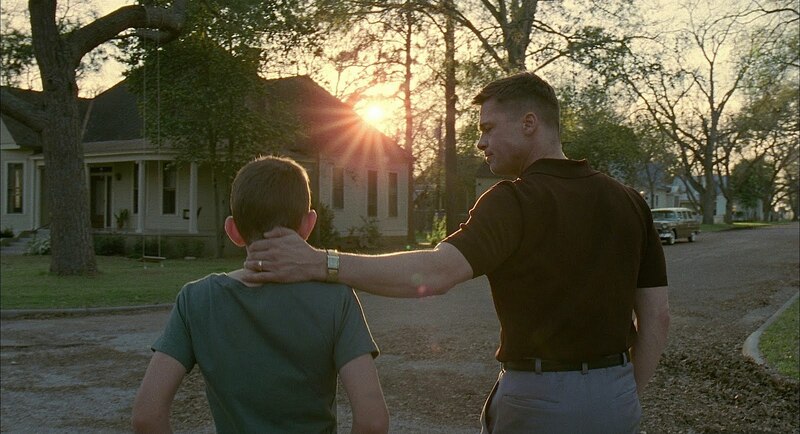 The Year of Brad: arguably the best year in Brad Pitt’s career as he was involved in the awe-inspiring Tree of Life and the touching Moneyball. French Invasion: a beautiful silent film called “The Artist” propels a couple of talented french actors right to the center of awards season. Film that made me cry: the powerful and moving “Senna”. Very disappointed by the Academy’s omission of this great documentary. Woody Allen dreams in Paris:arguably one of the best films by Woody Allen and his most refreshing piece in years. Such a great storyteller ! Elizabeth Olsen is the talented one: she came out of the dark and eclipsed her two famous sisters with four words, Martha Marcy May Marlene. Natalie Portman follows Black Swan with? : after putting all of her time and effort into Black Swan, the talented young actress turned-Oscar recipient appeared in 3 films since, all of which, if we were to add them up, would not amount to the quality of Black Swan. Unfortunately, she will not be appearing on a film until 2013. However, if the last three are indicative of her future choices, lets hope she does not make many more. Tom Hardy and Michael Fassbender are ‘hot’ commodities: two very handsome male actors impressed this year after breakout roles in the years prior. Tom Hardy put out a great performance in “Warrior” and “Tinker Tailor Soldier Spy” while Fassbender made himself into a director’s favorite with his impressive work in “A Dangerous Method” and “Shame”, not to forget his convincing incarnation of Magneto in the latest X-Men release. Enough with the superheroes! : except for the Dark Knight saga, there does not seem to be a promising superhero film popping into the Hollywood firmament. Thor and Captain America were slight disappointments while the final installment of X-Men closed the deal in a better than expected fashion. Another great year for Clooney: it must be nice to be George. He dates beautiful women, works the red carpet like no other while he seems to truly enjoy the attention. On top of it all, George puts out a solid directorial effort with “The Ides of March” and one of his best performances yet in “The Descendants”. Ryan Gosling will be a superstar: if he is not already. Great looks, charismatic, suave and talented. Only time will tell if he is headed to greatness. Even Pixar makes mistakes: There is no denying. Cars 2 was the first truly disappointing film that Pixar has ever done since their breakout with Toy Story. Do not worry, their next project, “Brave”, is due to come out later this year and it promises a great deal. Favorite Animated feature: the unorthodox, funny and entertaining “Rango”. Such as refreshing film. Favorite Film: “Moneyball”. Don’t ask me why, it just was (please beware I still haven’t seen all the films I should have to make that bold statement). Worst Film I had the misfortune of watching: “Just Go With It”. Don’t ask me why I did it, I just did. The scariest 30 minutes followed by idiocy: “Insidious”. It was quickly becoming a wonderfully frightening film until it did not know what to do with itself. What a shame ! The funniest moment: the bridemaids-to-be are trying their dresses and it all goes south….literally ! So funny ! The biggest let-down: “Meek’s Cutoff”. It got so many good reviews, but I was utterly bored with it, from beginning to end. 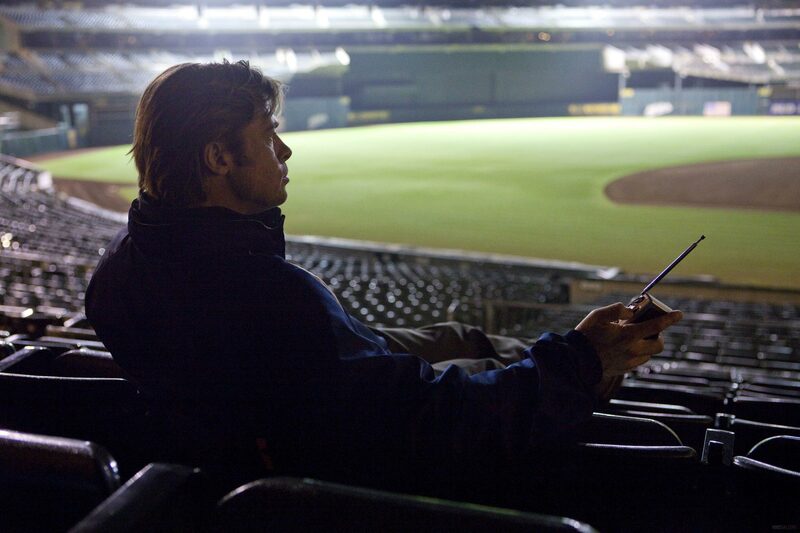 The most pleasant surprise: “Moneyball”. I really did not expect much from a baseball film, but it truly surprised me. The best ending: though released in late 2010, Chicago only received “Incendies” in 2011 and the ending is not only surprising, but powerfully delivered. Awesome twist ! Who do I root for? 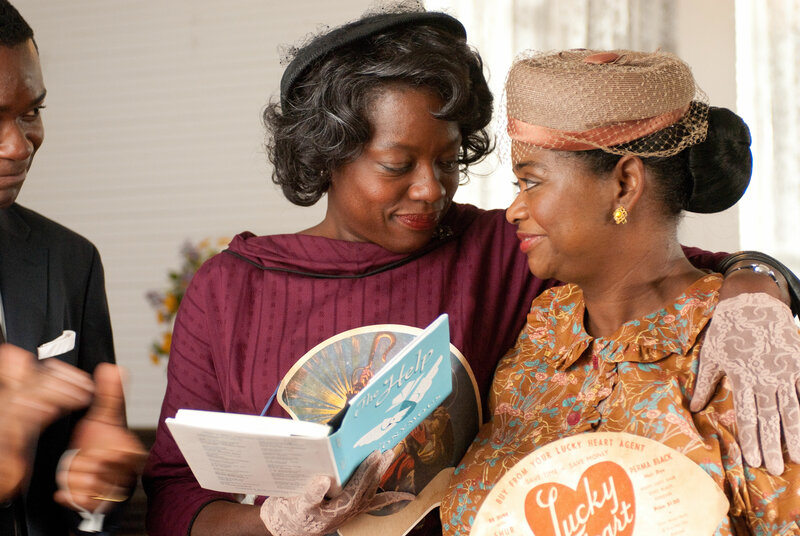 : Viola Davis to get the recognition she deserves. Such a talented actress, down to earth and very well spoken. The best action movie: Rise of the Planet of the Apes. Hugely entertaining! And now what I intend to make a tradition in this blog of mine: ♦The Blog of Big Ideas Vanguard Award♦ to the most interesting film of the year. This “honor” will only be bestowed to films that, in my modest opinion, advance the craft, challenging professionals and fascinating film critics / bloggers all around. The work needs to be, in a manner of speaking, “ahead of its time” and/or truly original in at least some aspect of its delivery. Wow, you’re a big fan of Brad eh? Well I can’t say the same as I only like him in one film and that was Legends of the Fall. Right now I actually have no desire to see any film of his actually. Interestingly, I’m not fond of Gosling either, having seen him in The Notebook and most recently Ides of March. He seems to have what it takes but something about him turns me off, yeah I know I’m in the minority. I do however like Hardy and Fassbender a lot, though I’m more taken by Tom Hiddleston and hope his star will rise just as quickly as those two. It is a big year for George, in fact I’m doing a double review of two of his films that’ll be posted tomorrow night. I’ll rent Melancholia when it comes out. Nice idea there about the Vanguard award, Niels. Not so much of a fan actually. I just have to give credit where credit is due. This is the first time where I can’t see anyone else playing a role that was given to Brad Pitt and, of course, I’m referring to his lead role as Billy Beane in “Moneyball”. It’s a very good and deserving performance. As for Gosling, I think he’s a good actor and very promising star. Having said that, I do not think any of his three performances this year are worth a shout by the Academy. In fact, of all the movies he was involved in, I would rather give some recognition to some of his co-stars like Phillip Seymour Hoffman or Albert Brooks. I wouldn’t call myself a fan of Lars Von Trier since this is only the second film I have seen of his. In fact, I have mixed feelings towards Melancholia. The recognition I give to it does not necessarily mean I really enjoyed the film, given that I only gave it a 3 out of 5 rating. The Vanguard award is more directed towards elements of the film that I thought were really interesting and intriguing. It is the same thing I think of films like “2001: Space Odyssey” which I did not find altogether enjoyable, but very interesting and worth the artistic praise it has always received.